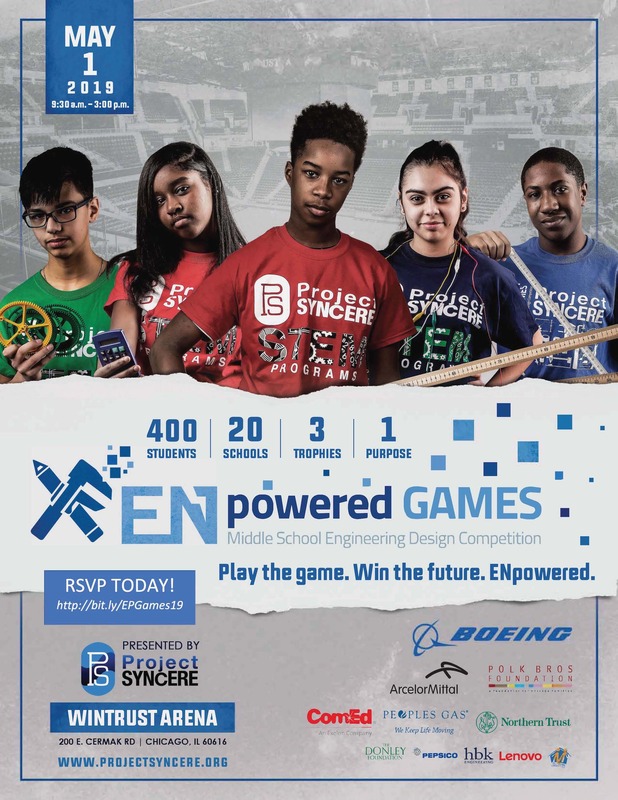 Project SYNCERE's ENpowered Games will bring together more than 400 middle school students from 20 schools across the city to provide them an opportunity to showcase their engineering acumen. Our team has provided students with 20 hours of engineering instruction prior to the event to enhance their understanding and skills in various engineering disciplines. This one-day event will allow students an opportunity to compete against each other for school pride and bragging rights over who is the most astute engineer in middle school. We are looking for judges from a wide array of backgrounds to help us execute the day effortlessly. Volunteers will be utilized in some of the following ways: judges, guides, floaters, assist with check-in/registration, set-up, clean-up, etc.. Please join us in leading students through this fun-filled day of STEM activities and help us bring the excite of engineering to Chicago area students. Did you volunteer last year?